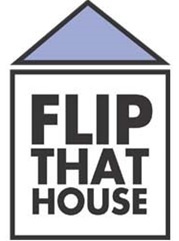 As a real estate investor specialist, I continually meet people who want to jump head first into the house flipping scene. It amazes me to see how quickly investors with no experience in real estate or construction are willing to throw their hard earned cash into potentially risky real estate deals. It’s true, some are killing it. But some are losing their shirts — and cash too! I commonly tell my clients — when you get out of your game and get into someone else’s game, you can become fair game! With over twenty years of experience, I manage each real estate investment deal with prudence and expertise, weighing the risks and vetting each investor’s current situation. I know that experience in the industry — and recognizing how to avoid the most common pitfalls — is vital to success. If someone is going to manage the project for you, look at a few of their most recent projects. Never invest in a flipping project when the deed is not in your name, whether you get a loan for the project/house or not. Never invest money in something that is unsecured. Make certain you have a title policy, even if you’re paying cash for the house. This protects your investment against any prior liens not caught by the title company when you purchase your flip. ALWAYS get permits for construction when permits are required. If permits are required, make certain that you get ‘Passed’ inspection stickers as you go. Don’t assume that just because the contractor obtained permits the inspection went well. It may be too late once you’ve written them the check. Never prepay for the projects, rather make sure work is performed in equivalence to what you write in checks. Understand that a contractor can’t or won’t fund the entire project or phase. Make sure when you are paying for subcontractors, the subcontractor signs a simple mechanics lien release. If your general contractor does not pay for the subcontractor’s work, the subcontractor can place a mechanics lien on your property causing you to pay twice. Always get an insurance policy on your flip in case your investment accidently goes up in smoke. Make certain that it has some type of general liability aspect to it as well. If one of your contractors isn’t insured, and they or one of their employees get hurt, it could fall back on you. Get certificates of insurance and copies of licenses if required. This can help alleviate any potential claims I just mentioned above. Be wary of house flipping seminars with a flip with no money promotion. Most of these seminars are gimmicks. Would you like to know more? If you are interested in investing in real estate or just need some sound real estate advice, the Sachs Group is available to assist you. Real estate investing is all we do! Call today!